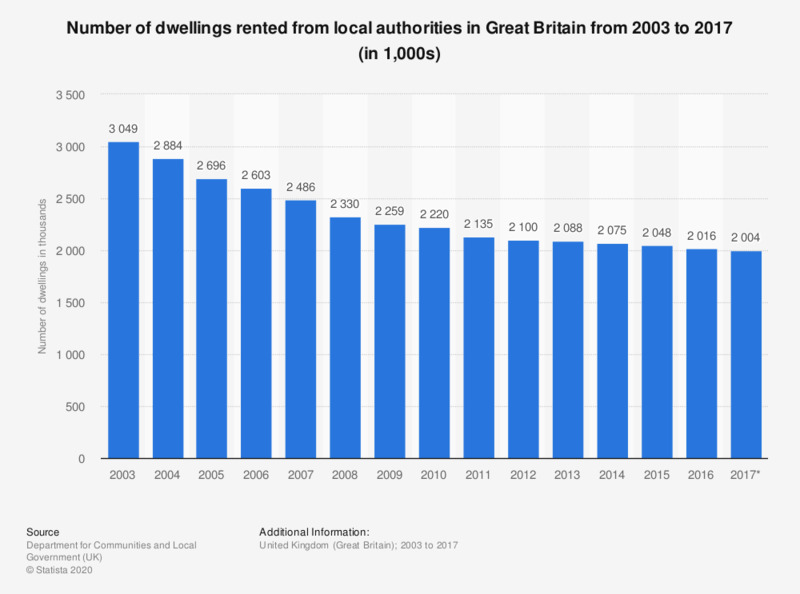 This statistic shows the number of dwellings rented from local authorities in Great Britain from 2003 to 2016. The local authority housing numbers decreased year-on-year during the period observed. In 2016, a total of 2.02 million dwellings were rented from local authorities.